LEX Africa is a legal network of leading law firms in over 20 African countries and is Africa’s largest legal alliance. Each member is an independent law firm whose key specialist focus is on general corporate and commercial law as well as litigation and dispute resolution. Founded in 1993, LEX Africa effectively covers the entire African continent and provides a valuable resource for businessmen and investors in Africa. LEX Africa has a more than 20 year track record of assisting and advising clients on their African business activities. Each member is a full service independent law firm with expert knowledge and experience on both local laws and the local business, political, cultural and economic environment. With over 600 lawyers, LEX Africa accordingly provides a Pan African legal team for cross border and local African legal solutions for clients wherever they wish to do business in Africa. LEX Africa’s management office is situated at the offices of the South African member, Werksmans Attorneys. LEX Africa produces popular Business and specialist guides annually, including Mining in Africa, Insolvency and Restructuring and a recently launched guide to Foreign Judgment and Arbitral Awards in Africa. The guides are available for download from LEX Africa’s website. LEX Africa is an alliance of leading law firms in over 20 African countries which was founded in 1993 and was the first legal alliance focussing solely on Africa. Only African law firms join the Alliance subject to strict performance and selection criteria to ensure world class standards of legal practice. Each member is an independent law firm whose key specialist focus is on general corporate and commercial law as well as litigation and dispute resolution. LEX Africa effectively covers the entire African continent and provides a valuable resource for businessmen and investors in Africa. 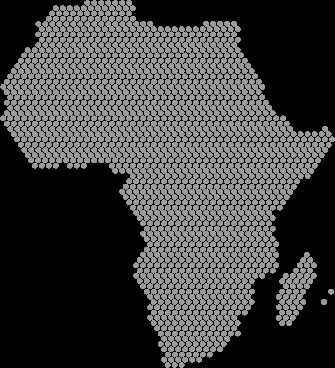 LEX Africa has a more than 20 year track record of assisting and advising clients on their African business activities. Each member is a full service business law firm with expert knowledge and experience on both local laws and the local business, political, cultural and economic environment. LEX Africa accordingly provides a “one stop shop” and Pan African legal team for cross border and domestic African legal solutions to clients wherever they wish to do business in Africa. Member firms share similar values and commit to the highest professional, ethical and service delivery standards. A lawyer exchange program and specialist LEX Africa practice and industry sector groups have been established. LEX Africa’s management office is situated at the offices of the South African member, Werksmans Attorneys. A management committee is elected at each Annual General Meeting of members. LEX Africa produces a popular annual Business Guide and specialist guides including on Mining in Africa and Insolvency and Restructuring.